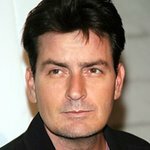 Charlie Sheen has announced that he will be donating some of the proceeds from his upcoming live shows to victims of Japan’s devastating earthquake and tsunami. “My Violent Torpedo of Truth/Defeat is Not An Option Show” LIVE will be donated to the Red Cross Japanese earthquake relief fund." The two shows announced so far – in Detroit on April 2 and Chicago on April 3 – have already sold out. A number of stars have shown celebrity support for victims of the disaster in Japan, including Lady Gaga, who has designed a charity bracelet to raise money for victims.